I’m on my third one of these Messy Bun Hats. My sister saw the pattern online and hinted that she wanted one. I decided to make one for her and my niece. 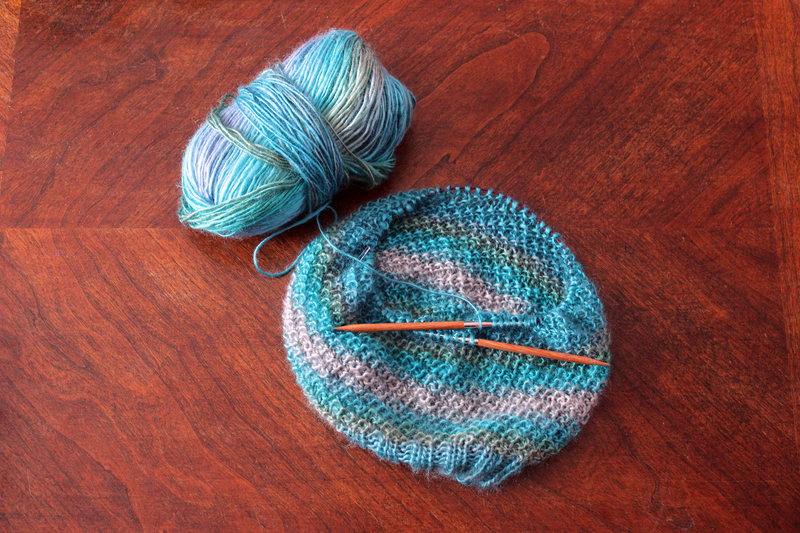 It was a happy surprise that after I made the first hat I still have half a ball of yarn. I’ve decided instead of making a hat for myself I’m going to make two additional hats and sell them. I’m using the yarn they called for in the pattern called Unforgettable. I think it’s a lovely yarn especially for an acrylic yarn. It’s a soft and luminescent roving.